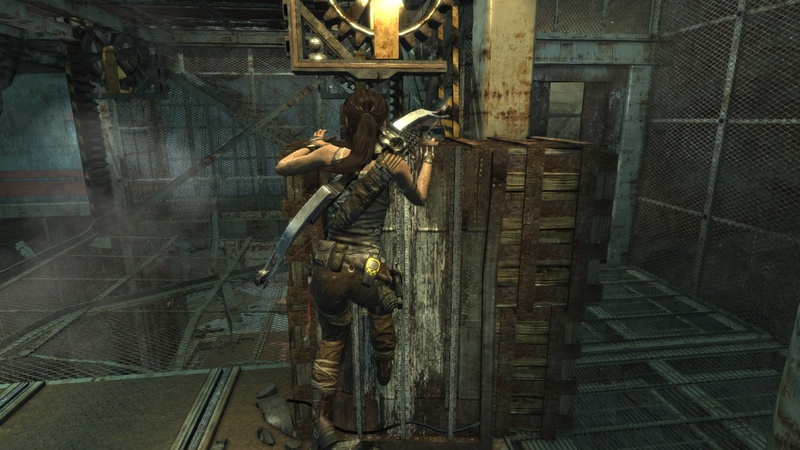 Hello and welcome to the puzzle guide to dropping the elevator in the research base in tomb raider 2013. Go all the way to the left and jump to the platform. You can now pry off the fourth cog. The elevator will drop down and clear the way ahead. 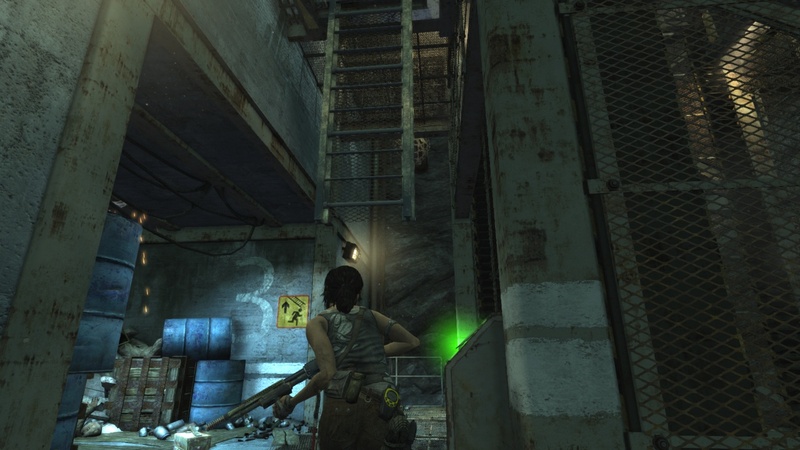 To continue don’t jump down from the second level, instead walk off. If you jump down you die spontaneously. 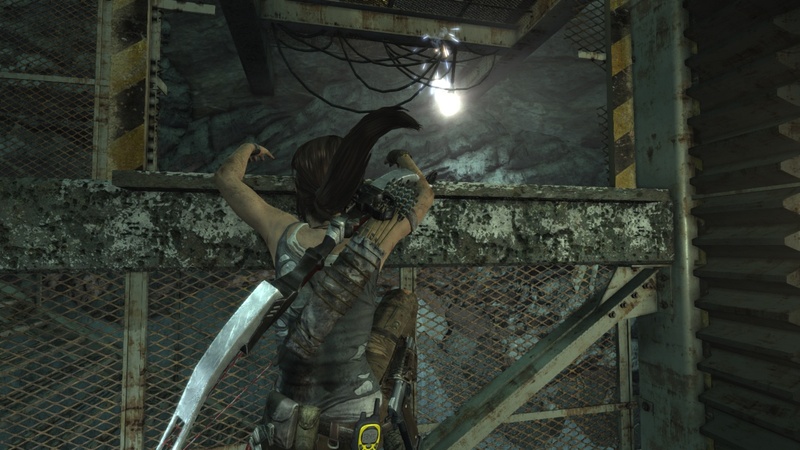 This entry was posted in Puzzle Guide, Tomb Raider and tagged auluftwaffles, Break Cogs, Drop Elevator, Elevator, gaming, guide, Research Base, Research Base Break Elevator Cogs, Research base Drop Elevator, Research base Elevator, Tomb Raider, Tomb Raider 2013, Tomb Raider 2013 Research Base, video game guides, Video Games. Bookmark the permalink. 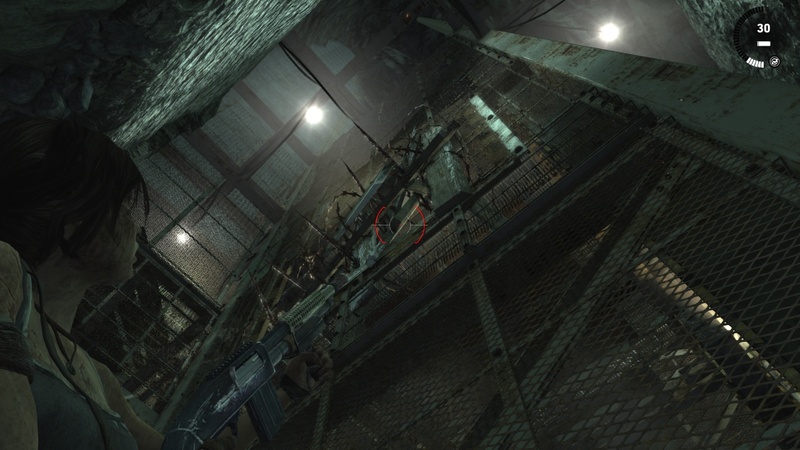 On the fourth floor elevator it seems that my elevator will not ris all the way up for me to get the 4th cog. I have been stuck here for about 2 hours and am afraid I caused a glitch of some kind. I shot the barricade from inside the elevator. 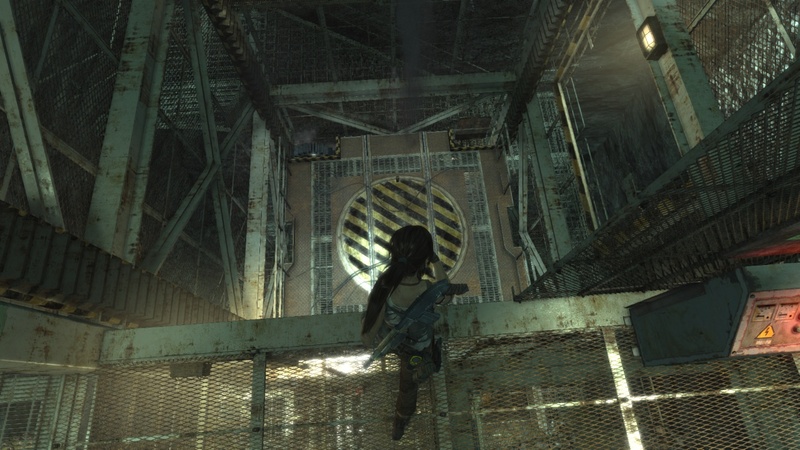 The elevator keeps stopping with the climbable wall exposed, but you are stuck in the elevator. You need to jump on the metal hit the window frame and jump out to the wall and use your axe. It takes time, but it can be done. I can not get the 4th cog though. Why will my elevator not come up to the fourth floor?